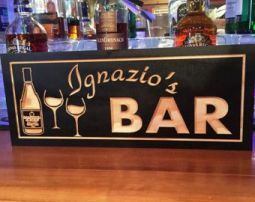 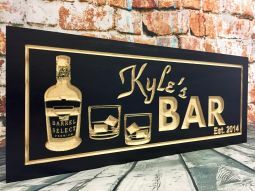 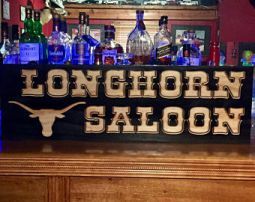 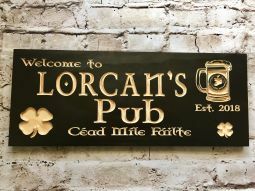 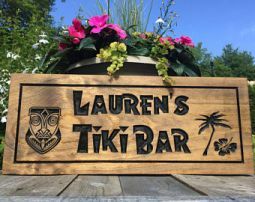 Our personalized bar signs are perfect for welcoming friends and family, or to celebrate the weekend party at your house, bar, or restaurant. 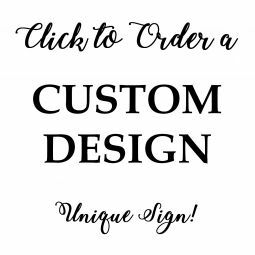 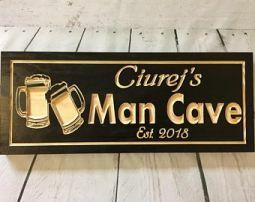 These custom signs will brighten up any occasion and makes a great gift that is sure to be admired. 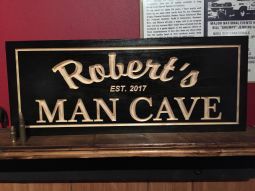 Crafted from quality wood, our signs boast unique designs and finishes that will add character to the walls in any game-room, garage, workshop, pub or anywhere you wish to stake your claim! 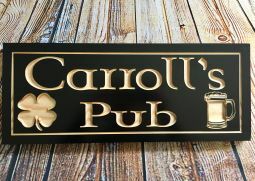 Our signs easily mounts to the wall with a single nail or screw by the metal sawtooth hanger on the back.